Sticking to the traditional six-month long release cycle, Canonical launched Ubuntu 11.04 (code name Natty Narwhal) yesterday. While the new version offers tons of improvements, the most notable feature is probably the brand new Unity interface. 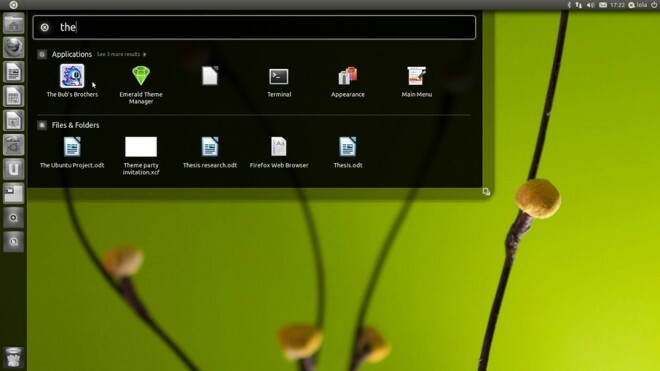 Although originally created the netbook version of Ubuntu, the desktop environment is now default in all versions. Although Unity runs over GNOME, it looks quite different. Rather than a task bar for open applications at the bottom, Ubuntu now has a side-bar to complement the file menu. This column displays icons for pinned applications and places arrows next to running programs. Users can hide it from view with just a click. I noticed that snapping a program to the left side of the screen, much like Windows 7, automatically hides the launcher to save screen space. The left hand side positioning definitely feels odd at first since it is a mix between the icon dock in Mac OS X and the task bar in Windows 7. However, I am sure that regular users will get used to it quickly. Rather than a file menu, there is now a Ubuntu button at the top left corner which brings up a list of available programs. Much like the Windows 7 Start Menu, you can begin typing immediately to filter through installed programs or search through the files on your machine. This feature alone makes Ubuntu 11.04 a lot easier for regular users who are not too tech savvy. Mac OS X users who are heavy multi-taskers will scream blatant copy and it is probably true. The new Unity Workspaces feature is a lot like Spaces by Apple. It lets you create multiple virtual desktops to group different sets of applications together. Ubuntu even lets you drag open windows from desktop to desktops, but this is nothing new for OS X users. Edit: Just to clarify, many flavors of Linux have had a similar feature for ages. 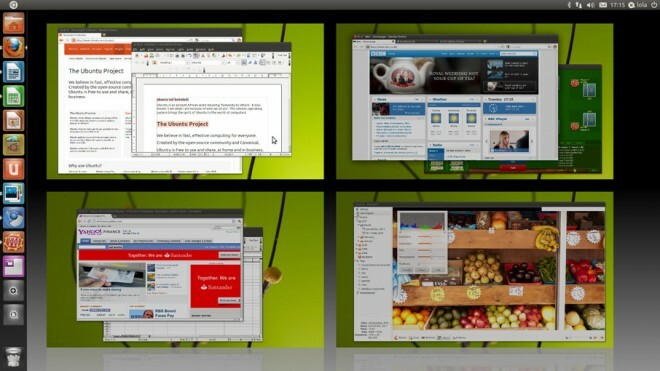 Previous editions of Ubuntu also came with a multiple desktop feature and installing Compiz would enable more visual enhancements. The Unity interface makes it look a lot more like Spaces, but the technology was available for Linux long before Apple implemented it. I use Ubuntu on an old Dell Mini 9 netbook and I found I had to reformat my hard drive to install 11.04 Natty Narwhal. Not sure why I had an issue, but the upgrade process worked just fine for the copy of Ubuntu I have running inside VirtualBox on my Windows 7 computer. It was somewhat disappointing to learn that much of the Unity interface lacks customization options. 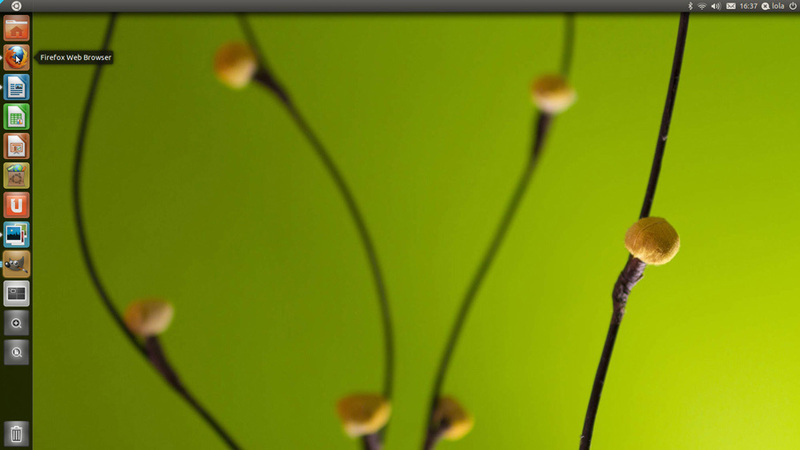 For instance, users can not move the dock to the other side of the screen or to the bottom. Long time users who are not fans of the new interface can switch back to the original classic view easily. Those who want to give Ubuntu a test drive can either burn the 700 MB image file to a CD or transfer it over to a USB flash drive. Like previous versions, the software lets users try the operating system without having to install. As always, Ubuntu’s website has detailed instructions. It is nothing new for Ubuntu, or linux in general, to support multiple workspaces. It is not a new concept at all, having been around for well over a decade at least. I’ve been using quite a few Workspace-like features for ages on Ubuntu too, but it required installing Compiz in the past. Unity makes it come by default. I probably should have stated that better. Do you know exactly when it first became available? I’ve seen workspaces in Linux ever since I started using it way back in 1997….It’s called the “Pager”. I found that my Samsung netbook hung during the upgrade process – so ultimately trashed the installation I had. Fortunately I don’t have anything much on it that I don’t have somewhere else, but dead annoying. Just trying the upgrade myself. I’m using Ubuntu since early 2010, but still don’t think it’s a OS suitable for average computer users. The installation is too much prone to issues & resolving them is such a head-ache: sorting to user forums with 100 different solutions, for different computer models and different (often outdated) Ubuntu versions. Just a quick note on the workspaces feature – Linux desktops had this feature long before MAC. Perhaps the implementation in this distro is more similar to MAC but it was linux that had it first. I’ve been an Ubuntu user for several years now. But I’ve been waiting for Ubuntu to come up with a voice recognition app. So I’m a bit disappointment that this new release hasn’t one yet. Still I faithfully wait.